Apostasy is an important yet often neglected subject when attempting to comprehend what the Bible teaches about the end times. Thus, this series of articles is dedicated toward tracing ten general, biblical characteristics of apostasy. In the previous articles, apostasy was defined as a movement within Christ's church representing a departure from known truth. It was also established that apostasy is the central sign revealed in Scripture signaling the near completion of the church's earthly mission, that warnings against apostasy consume much of the New Testament, and that these New Testament warnings relate to virtually all of Christianity's most cherished doctrines. Apostasy is also a phenomenon that occurs internally within the church, is led by individuals considered the least likely candidates to depart from truth, can happen quickly, and is ultimately satanically energized. Moreover, apostasy is destructive in character and also has a deleterious impact upon those within the church who are attempting to remain faithful to God's truth. Apostasy also negatively impacts those who have not taken preventive measures against it. Our previous article demonstrated the need for aggressive action, or a lack of passivity, in order to counter apostasy's negative influence. One such aggressive step involves the need to test all things through the grid of the measuring stick of the closed canon of Scripture. This article will focus on a final way to combat apostasy: by returning to the preeminence and authority of Scripture in our personal lives and local churches. Paul discussed the reality of apostasy more in the Book of 2 Timothy than in any of his other letters. There, Paul exhorted young Timothy, who was pastoring in Ephesus, to devote himself to Scripture. 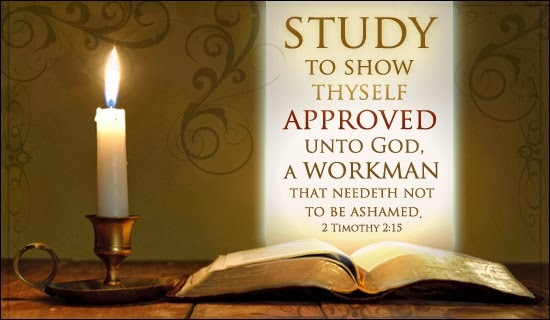 He said, "Be diligent to present yourself approved to God, a worker who does not need to be ashamed, rightly dividing the word of truth" (2 Tim. 2:15). This pastoral injunction seems so simple. Yet this is the area where the contemporary American church is most negligent. For example, T.A. McMahon notes the dilution of the ministry of the Word in many churches. "It is well and good for the preacher to base his sermon on the Bible, but he better get to something relevant pretty quickly, or we start to mentally check out." That stunningly clear sentence reflects one of the most amazing, tragic, and lamentable characteristics of contemporary Christianity—impatience with the Word of God. ...Galli was told to cut down on the biblical references in his sermon. "You'll lose people," the staff member warned. In a Bible lesson on creation, the teacher was requested to come back next Sunday prepared to take questions at the expense of reading the relevant scriptural texts on the doctrine. Cutting down on the number of Bible verses "would save time, and it was strongly implied would better hold people's interest." ...Indeed, in many churches there is very little reading of the Bible in worship, and sermons are marked by attention to the congregation's concerns—not by adequate attention to the biblical text. The exposition of the Bible has given way to the concerns, real or perceived, of the listeners. The authority of the Bible is swallowed up in the imposed authority of congregational concerns. It has been said to the point of boredom that we live in a narcissistic age, where we want to fixate on our needs, our wants, and our hopes—at the expense of others and certainly at the expense of God. We do not like it when a teacher uses up the whole class time presenting her material, even if it is material from the Word of God. We want to be able to ask our questions about our concerns, otherwise we feel talked down to, or we feel the class is not relevant to our lives. ...Don't spend a lot of time in the Bible, we tell our preachers, but be sure to get to personal illustrations, examples from daily life, and most importantly, an application we can use. The fixation on our own sense of need and interest looms as the most significant factor in the marginalization and silencing of the Word. Individually, each human being in the room is an amalgam of wants, needs, intuitions, interests, and distractions. Corporately, the congregation is a mass of expectations, desperate hopes, consuming fears, and impatient urges. All of this adds up, unless countered by the authentic reading and preaching of the Word of God, to a form of group therapy, entertainment, and wasted time—if not worse. Galli has this situation clearly in his sights when he asserts that many congregations expect the preacher to start from some text in the Bible, but then quickly move on "to things that really interest us." Like...ourselves. ...The Biblical formula is clear—the neglect of the Word can only lead to disaster, disobedience, and death. God rescues his church from error, preserves his church in truth, and propels his church in witness only by his Word—not in congregational self-study. Even professors at leading evangelical institutions have also noticed a precipitous decline in the Bible knowledge of their incoming students. These departures notwithstanding, the most effective bulwark against apostasy is a return to the centrality of Scripture. Productive things begin to transpire when God's Word is once again given its proper place. Spurgeon once analogized returning to the Scripture in the local church to releasing a lion from its cage. Similarly, Paul explained that the Word of God is not only profitable for our initial salvation but also for our sanctification and equipping (2 Tim. 3:15-17). Thus, he pleaded with Timothy to preach the Word when it is both popular to do so and when it is not (2 Tim. 4:2). Interestingly, of the many items that the early church gave themselves to such as prayer, evangelism, communion, and benevolence (Acts 2:41-47), the first item mentioned was a single-minded devotion to apostolic doctrine (Acts 2:42). Why? Such a doctrinal focus equipped the church to fulfill all these other activities. Unless Scripture occupies a preeminent place in our lives and churches, spiritual maturity is an impossibility (Eph. 4:11-16; 1 Pet 2:2). The Scripture has the ability to feed the deepest yearnings and needs of the human heart like no other book (Deut. 8:3; Matt. 4:4). Job explained, "I have treasured the words of his mouth more than my necessary food" (Job 23:12). The general trajectory of national Israel throughout the pages of the Old Testament is one of rebellion and disobedience. However, there are a few recorded instances of a revival and a return to God. These seasons of refreshment are always marked by an important prerequisite: a return to Scripture. For example, the many reforms that took place in Josiah's day was preceded by not only the discovery of the Law in the temple after many years of neglect but also by a desire to honor and embrace it (2 Kgs. 22). Similarly, the great revival that broke out among the post-exilic community in Nehemiah's day (Neh. 9–12) was also preceded by Ezra the scribe standing upon a high platform in order to read and explain God's Word to God's people (Neh. 8). This same pattern can also be found throughout the last two thousand pages of church history. For example, the Protestant Reformation would likely never have taken place unless the reformers had focused upon God's Word alone and made it their ambition to build proper doctrine upon it. Despite the encroachment of apostasy in our own day, we find that we have the ability to protect ourselves from its influence to the extent that we return to the fidelity, authority, and centrality of Scripture. T. A. McMahon, "The Seeker-Friendly Way of Doing Church," The Berean Call , March 2004. Albert Mohler, "Falling on Deaf Ears?—Why So Many Churches Hear So Little of the Bible," online: http://www.albertmohler.com/, 19 February 2010. Gary M. Burge, "The Greatest Story Never Read," online: http://www.christianitytoday.com/, accessed 26 March 2010. Kristen Bell; quoted in Andy Crouch, "The Emergent Mystique," Christianity Today .